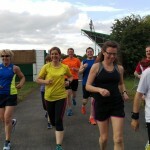 We welcome new members and can accommodate all levels and experience of runners. Our seniors train every Monday, from 6.30pm, excluding bank holidays, from Norton Sports Charity, 74 Station Road, Norton, Stockton on Tees, TS20 1PE. Every Thursday, from 6.30pm, from Norton Sports Charity and Billingham RUFC, Greenwood Road, Billingham, Teesside, TS23 4BA, depending on the training session. Full directions to both our bases can be found on the CONTACT US page. Our under 11 Juniors (minimum age 8years old) meet on a Thursday at 6:30pm, and our over 11’s meet on a Monday and Thursday at 6:30pm from Norton Sports Charity, 74 Station Road, Norton, Stockton on Tees, TS20 1PE. If you would like to join any of our sessions, just arrive 10 minutes before the start time and that day’s leader will be happy to answer any questions that you have. 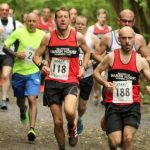 Alternatively, if you are new to running or do not know the area that well, please complete the CONTACT US form and one of the Club officials will reply advising which of our Running Coaches would be best for you to meet on your 1st session. The first 3 sessions are free, so come down and see us, you will always be welcome.